Linda Ann Roscoe, 75, died Thursday, March 28, 2019. Born in Rockingham, NC, she was a daughter of the late John and Elizabeth Steen Black. She was a member of the Cheraw Church of God. 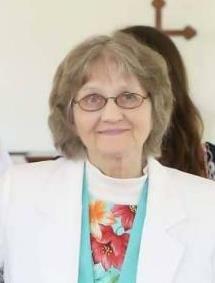 She loved to sing in the choir, helped in children’s church, and taught Sunday School. She loved to read her Bible and was a fierce prayer warrior. She loved to sew and would help host at campgrounds at various state parks. Camping was one of her passions and she also loved to garden. Spending time with her family was so important to her. She was a cancer survivor. Surviving is her husband of 58 years, Grady Roscoe Sr. of Wallace, SC, sons, Ray (Margaret) Roscoe of Rockingham, NC, and Grady (Elaine) Roscoe of Wallace, SC, daughters, Faye (Bruce) Quick of Hamlet, NC, and Sherry (Keith) Lane of Cheraw, SC, a brother, William (Ruth) Black of Rockingham, NC, sisters, Molly (Pee Wee) Smith of Rockingham, NC, and Nellie (Aaron) Helms of Rockingham, NC, grandchildren, Chris Roscoe, Adam Roscoe, Aaron Lane, Bruce Dale Lane, Jewel Lane, Charlie Lane, Katelyn (Clint) Roscoe Driggers, Steven Roscoe, great-grandchildren, Laila Driggers, Farryn Driggers, Hazel Driggers, and Avery Driggers. She was preceded in death by her parents listed above. The family will receive friends 6:00 PM to 8:00 PM Saturday, March 30, 2019 at Kiser Funeral Home, Cheraw, SC. A funeral service will be held 3:00 PM on Sunday, March 31, 2019 at Cheraw Church of God, Cheraw, SC. Burial will be at True Gospel Emmanuel Holiness Church Cemetery, Wallace, SC. Memorials to: American Cancer Society, c/o Kathy Treadaway, 275 Forest Drive, Cheraw, SC 29520.